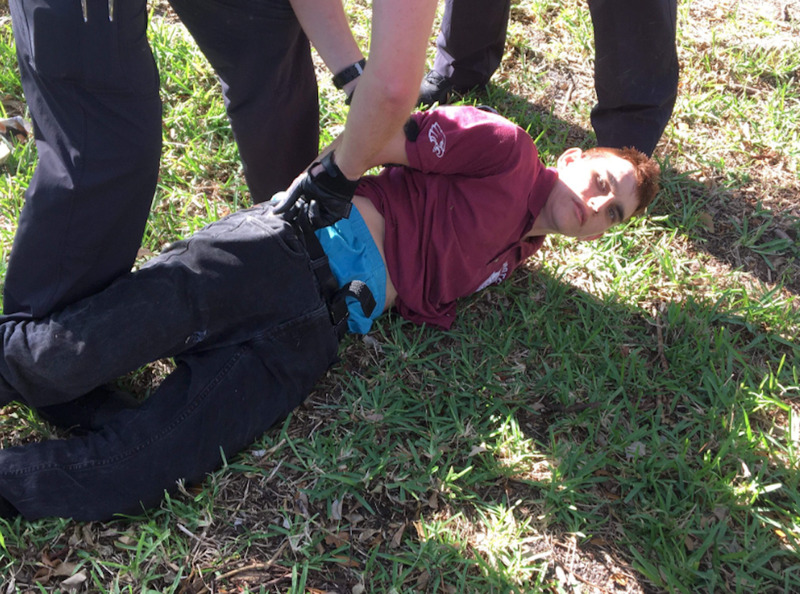 JenniferTintner/TwitterNikolas Cruz was detained by the police on Wednesday. Nikolas Cruz, the suspect in the shooting at a Florida high school on Wednesday, has been charged with 17 counts of premeditated murder. The actions Cruz is accused of constitute a capital crime, and the sentencing jury could recommend the death penalty under state law. Nikolas Cruz, the suspect in the shooting at a Florida high school on Wednesday, could face the death penalty after being charged with 17 counts of premeditated murder. Sheriffs in Broward County posted custody records online Thursday, the morning after they arrested Cruz. They listed 17 separate counts of premeditated murder, matching the latest casualty figures from officials. Cruz, 19, will stand trial as an adult. In Florida, a judge can impose the death penalty if a sentencing jury unanimously recommends it. From 1973 to 2016, the state of Florida executed 95 people, some of whom spent decades on death row. Cruz’s lawyer told the Fort Lauderdale Sun Sentinel that the AR-15 believed to be used in the shooting was possessed by Cruz legally.